Events to celebrate the 49th annual Earth Day are taking place around the globe. It was a massive oil spill in Santa Barbara, California in 1969 which inspired former Senator Gaylord Nelson for the idea for a national day to focus on the environment. The Wisconsin Senator enlisted support from Republicans and Democrats. 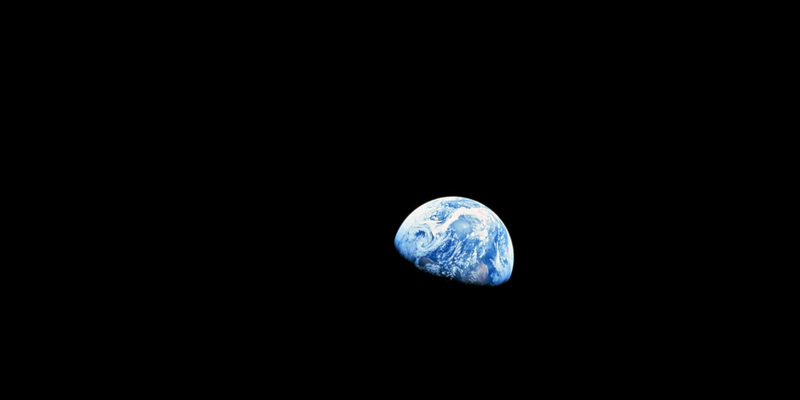 The first Earth Day was celebrated on April 22, 1970. By the end of that year, the United States Environmental Protection Agency was created and the Clean Air, Clean Water and Endangered Species Acts were passed. Presently, Earth Day is observed worldwide and is celebrated by more than a billion people annually. 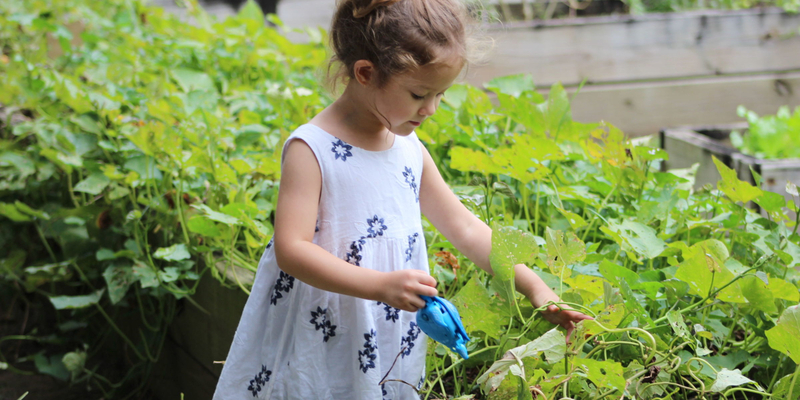 The Ogden Nature Center located at 966 W 12th Street will have activities and entertainment from 11 am to 4 pm. Entertainment includes live performances by the Celtic Beat Irish Dancers, Utah Puppet Association Puppet Show, and live animal presentations. Activities include a climbing wall, storytelling, nature crafts, puppet making workshop, face painting, composting workshops and much more. Plants, pottery, books, and recycled goods will be available to purchase. Tracy Aviary is holding an Earth Day Eggstravaganza, between 9 am to 5 pm. Pick up a list at the gift shop to check off as you find the eggs hidden among the birds. Bring your own yoga matt or beach towel to do yoga with the birds. Listen to a natured focused story, and watch the bird show. Check the link for the schedule of events. 589 E. 1300 South, Salt Lake City. Alta is holding their 10th annual Earth Day celebration between 9 am to 8 pm. Participate in the Naturalist Tours, Ski Recycle, and Eco-Friendly Vendors. Listen to live music. Salt Lake Community College Earth Day Festivities includes a Sustainability Panel, Reuse Fashion Show, Art Contest Awards, Open Mic Night, live music, and food trucks from 10 am to 4 pm at the Taylorsville Redwood Campus located at 4600 South Redwood Road. The Swaner Preserve and EcoCenter have an afternoon of Earth Day Activities from 3:30 pm to 7:30 pm, located at 1258 Center Drive, Park City. Information tables, green energy displays, games, crafts, and hands-on activities. See the Nature’s Ninjas Exhibit to learn about animals’ defense mechanisms. Between 4:30 and 6:30 pm, participate in the earth day cleanup at the preserve and learn what is recyclable and what isn’t. 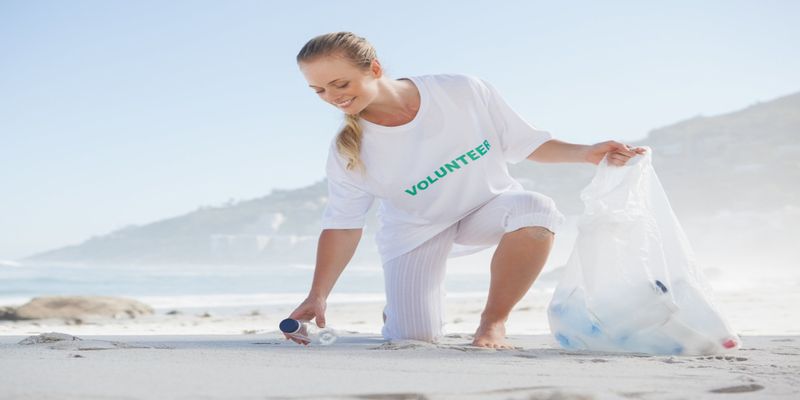 Volunteers for the Earth Day cleanup will be entered to win sustainable prizes. Collar with tags & leash – although your pet should be micro chipped, it is helpful to have a collar with tags for quick identification in the event that the dog gets separated from you. With the exception of service animals, pets are not permitted in emergency shelters. Be sure to keep a list of pet-friendly hotels. Bring Fido can help you identify hotels/motels which can accommodate your pet. Make a plan for when you’re not at home. Plan in advance what you would do if a disaster occurred while you are away from home and are unable to return for your pet. Identify a neighbor or other trusted person who would be able to retrieve your pets and their emergency kit for their care. 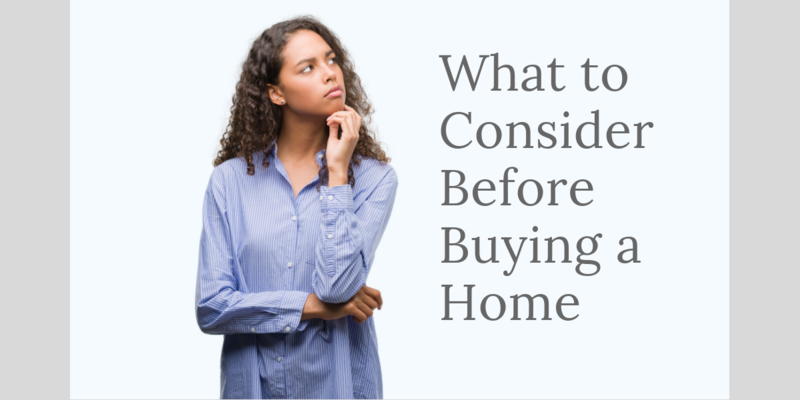 Deciding whether you’re ready to purchase your first home is perhaps one of your life’s major decisions. Buying is a huge (not to mention expensive) commitment and isn’t a decision you should take lightly. Before you make the leap to homeownership, it’s imperative you know where you stand, what you want, and what’s realistic for you and your financial situation. One of the biggest mistakes first time home buyers make is stretching their budget and buying a house they can’t afford. Before you start looking for your dream home, you should sit down, write out a budget, and figure out exactly how much you’re comfortable paying per month. Keep in mind that owning a home is more than just a mortgage payment. In addition to your mortgage, you’ll need to cover additional home-related expenses, like homeowners insurance, mortgage insurance, property taxes, and maintenance. Before you purchase your home, it’s imperative you take stock of your financial situation. The state of your finances plays a huge role in how much lenders will approve for your mortgage, and before they approve your loan, the banks will dig deep to make sure you’re a qualified applicant. Your financial situation will also affect the interest rate on your loan, which can save or cost you hundreds of dollars per month. Essentially, your lender is going to review your financial history to determine whether they believe you will pay back your loan. If they feel you’re a risky candidate, they’ll either approve a loan with a high interest rate – or turn down your loan application..
Before you apply for a mortgage, it’s important to get your finances in the best shape possible. Review your credit report and ask for any inaccuracies to be removed. Work on paying down your debt and padding your savings. The better your financial situation, the better deal you’ll get on your mortgage. Your must-haves are the qualities you absolutely need in a home in order to move forward with a purchase. A must-have might be a home in a preferred neighborhood, enough bedrooms or potential future bedrooms and bathrooms to accommodate your family, or a backyard where your kids can play. Your nice-to-haves are things you’d ideally like to have in a home but aren’t deal-breakers if they’re missing. Nice-to-haves might include an updated kitchen, a spacious master bedroom, or a finished basement. Your can’t-haves are the qualities you absolutely don’t want in a property. These are the deal breakers that will keep you from purchasing a home. Can’t-haves might include a property that borders a busy street, a fixer-upper property that needs a lot of work, or a property that’s too far away from your job site. When it comes to real estate, one of the more important things is location. And before you purchase property, it’s important you iron out exactly what you’re looking for in a location. Once you know everything you’re looking for in a location, your real estate agent can suggest neighborhoods that match your criteria. When you move is also an important factor to take into consideration. There’s no “best time” of the year to move, but different times of the year have different advantages. Holding a garage sale before placing your home on the market is a great way to declutter. Whether moving long distance, downsizing, or even upsizing, it is a great time to re-evaluate both what you want to bring with you to your new home, and what items is it time to let go of. Whether you are moving, or not, a garage sale is an excellent way to earn some money from what you no longer need nor want. If you have flexibility in scheduling when to hold a garage sale, the most popular seasons for garage sales are Spring and Summer. Since many people are paid on the 1st and 15th of the month, it is also beneficial if you can schedule your garage sale as close to those dates as possible. Saturday mornings is the most popular time, but Friday afternoons can also be a good time for catching buyers who prefer getting an early start to shopping for deals. Bargain hunters prefer larger garage sales than stopping for a small one, especially if it is held in an out of the way location. Consider asking neighbors, friends or family to combine garage sales to make it more attractive to buyers. Most items sold at garage sales are priced at 10-20% of the retail price, based on condition. If you are struggling to come up with a price, check similar items at a thrift store and price your item lower. Use individual price stickers for each item, rather than have a sign for pricing multiple items. It may be difficult later to determine where the item was picked up, or if it had been set down in a different area by another customer. 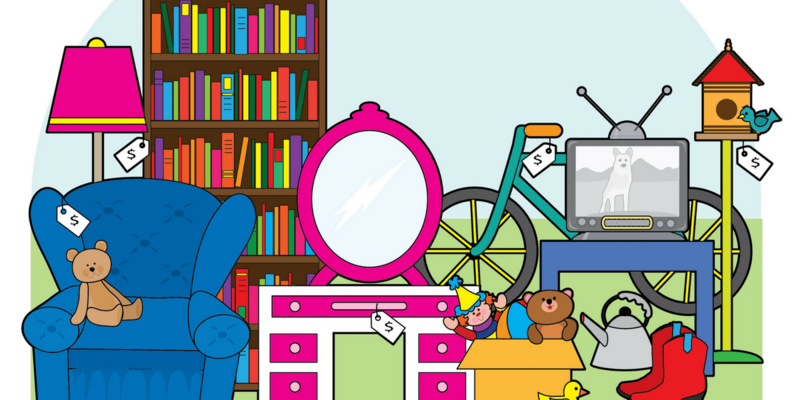 If you are combing items for a group garage sale, be sure to put the initials on the price tag to track the sales for each individual. Keep a pad nearby, to document the sales for each seller. If you are selling large items, such as furniture or appliances, and a person wants you to hold the item for them while they retrieve more money, or to get a vehicle to transport it, be sure to request a non-refundable deposit of $20. Place a sold sign on the item, and remove it to an out of the way location to prevent reselling the item to a new buyer. If a buyer offers a lower price than what you are willing to accept for an item, you may want to take their name and contact information to call back, if the item does not sell after the garage sale is over, and you are willing to accept their price. Take advantage of free ads on Craigslist, local on-line sites and on social media sites. Be sure to mention big ticket items, or general categories, such as dressers, sporting goods, tools, or baby items. Be sure to check with your local ordinances about posting signs, so that they are in compliance of local laws and regulations. . Make the signs easy to read, with large, dark letters and as few words as necessary, in order to provide essential information, such as date, time and location. Be sure to move your cars away from your home to provide space for shoppers to park. You may want to park your car where it can be used to provide notice for your garage sale with a sign on the front and/or back windows. Keep in mind that many people will look as they are driving by. Be sure to display the items to draw people in. Take the time to organize similar items together. If selling clothes, hang them up for a better display. If you do not have a portable clothes rack, you could improvise by using other items that may be used to hang items, for example, a chin-up bar, a pole hung between two ladders, etc. Tables and bookcases are great for showcasing items, but if necessary, even upside down boxes can be used as a table top. If there is not enough table space, spread clean sheets or blankets to display items on the ground. If you are selling an item in the original box, consider removing the contents to assure the buyer of the condition it is in. Many people will not take the time to open the box to examine the contents. If you are selling electrical items, have an extension cord available for buyers to test the item before buying. It may be helpful to increase sales you have the ability to use a square credit card reader on your cell phone or tablet; if not, stick with cash only sales. Be sure to start with plenty of change, with lots of quarters. One, five and ten dollar bills are essential to have on hand, as many buyers will not have the exact change. Always have someone monitoring the cash box, or consider keeping the money in a fanny pack around your waist. If you are accumulating large sums of money as the day goes on, be sure to periodically remove the larger bills from your money box and store inside your house. Be sure to have plenty of newspaper (for wrapping fragile items), plastic bags and cardboard boxes for buyers to carry their purchases. Other helpful supplies to have on hand include, note pads, pens, markers, masking tape and a measuring tape. Having music playing in the background can make the time go faster, and helps create an inviting environment. Try to select music with a wide appeal. 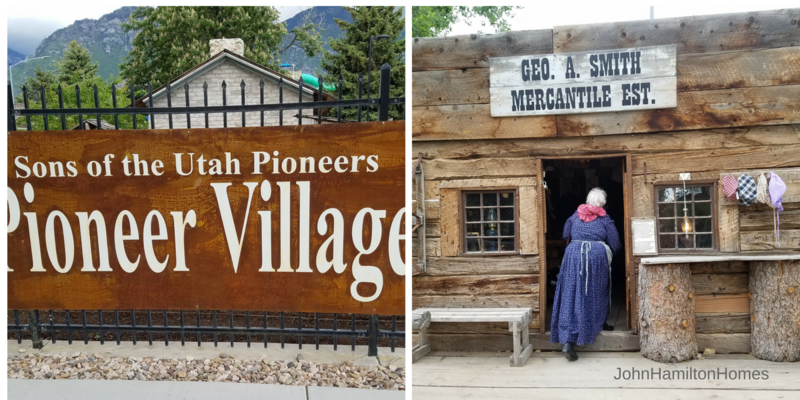 As you walk through the gate at the Provo Pioneer Village, you will be greeted by friendly docents wearing period costumes, who will take you on a tour traveling back in time to how the early pioneer settlers lived, worked and played. The village includes artifacts and original structures built by these pioneers dating back to 1849. The homes were tiny when compared to modern standards, but were filled with essentials to survive harsh conditions using their skills and grit. 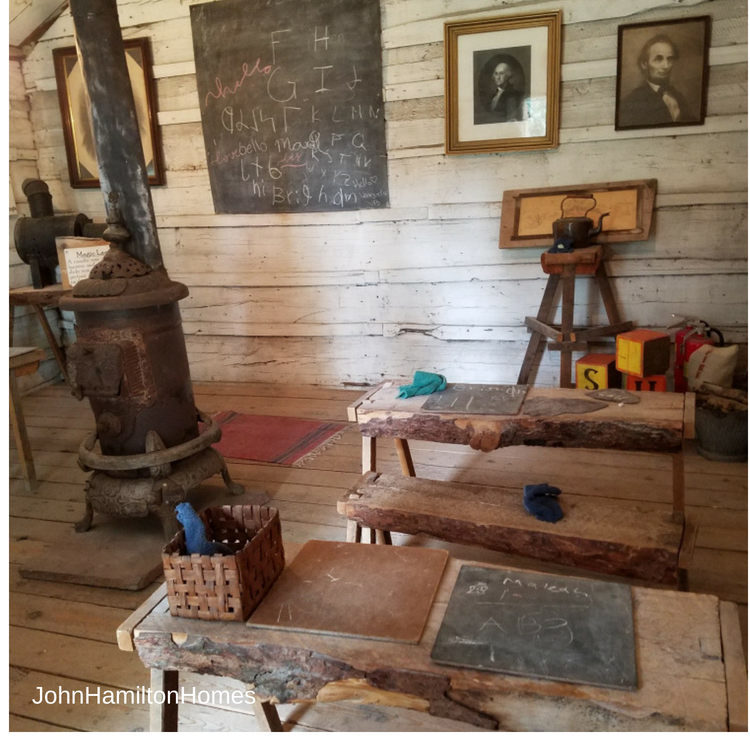 Other structures to tour include a one room schoolhouse, blacksmith shop, wood shop, ox shoeing stock, granary, corn crib and more. While visiting the General Store, you can purchase pioneer souvenirs or a treat to eat. Although some of the exhibits are roped off to preserve fragile artifacts, there are several hands on experiences for the children. Be sure to pick up the scavenger hunt sheet as you begin the tour to ensure that you understand what each item is and how it was used. 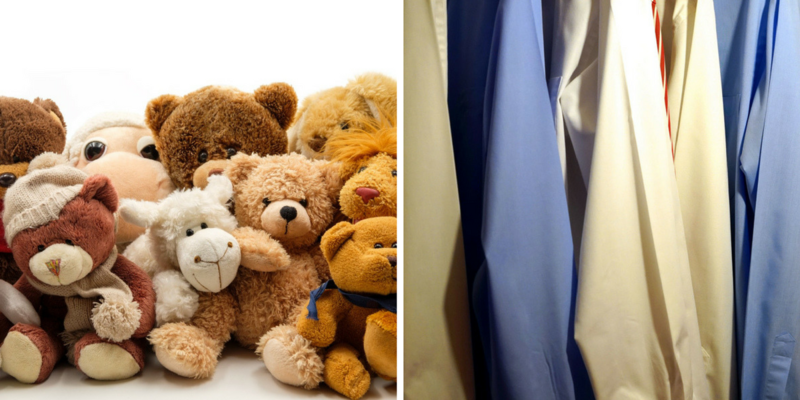 A trunk full of clothes is available for children to dress up for selfies, and they can experience the games pioneer children played, including the climbing bear, ring toss, and hoop and stick game. They can also test their balance using short stilts. 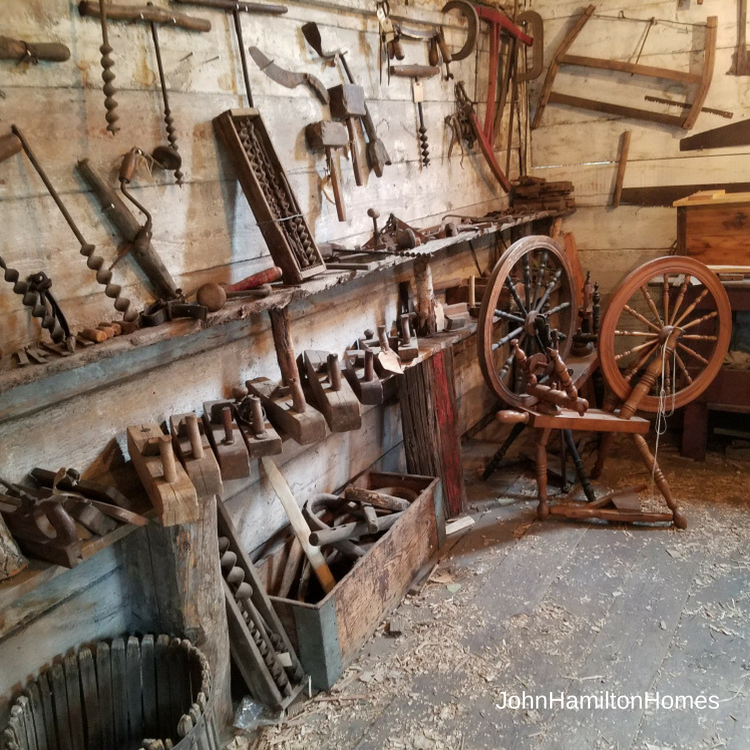 This Saturday, June 9th from 10 am to 2 pm, the Provo Pioneer Village will have a Craft Fair with demonstrations by Carpenters, Wheelwrights, Blacksmiths, Spinners, Weavers, Musicians, Rope makers and others. For information on additional scheduled demonstrations and activities, check their calendar of events. There is no charge for admission, but donations are greatly appreciated. Although there are posted Hours , it may be possible to schedule a visit for special occasions or large groups at a time outside of their posted schedule. The Provo Pioneer Village is 600 North 500 West in Provo, Utah. 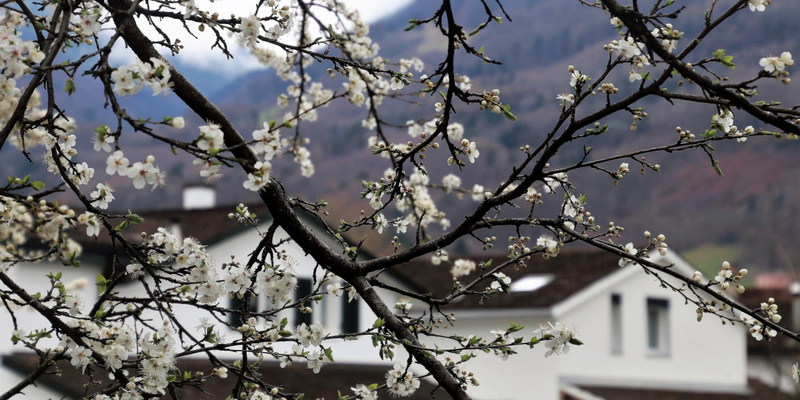 Spring has arrived and now is the time to inspect your home’s exterior for necessary cleaning, repairs and replacements to maintain your home. Winter storms, snow, and wind can be harsh and can take a toll on your home. It is important to have your roof inspected for cracked, worn, loose or missing shingles. This can sometimes be done with photos, but it may be necessary to climb a ladder to make a personal inspection – if this can be done safely. Another option is to hire a professional. You should also inspect the flashing around your plumbing vents and chimney to see if they need to be repaired or replaced. Check the exterior of your chimney for signs of damage, including efflorescence, a white build-up. Efflorescence is an indication that moisture is permeating the masonry. Removing the residue is not enough. The underlying cause of efflorescence must be addressed, to maintain the structural integrity of your chimney. Look for vegetation growing around your chimney. Vines hold moisture against the surface of the chimney. Overhanging branches from nearby trees and other vegetation can be a carbon monoxide or fire hazard. This is also a great time to hire a chimney sweep to clean and inspect your chimney, in preparation for next autumn and winter. Look over your gutters to ensure that they are intact, and the ends have not become loose or disconnected. Clean out leaves and debris, and make sure the downspouts are draining away from the foundation of your home. You may want to purchase downspout extensions to ensure that the water does not pool-up near the foundation. Check your concrete sidewalks, walkways, garage floors and parking pads for signs of cracking. After filling in the cracks with concrete crack filler, power wash the concrete and re-seal it. If you stored firewood near your home during the winter months, now is the time to move it to a different location. Bugs and vermin often make their home in firewood during the warmer months. It is best to store your firewood at least a foot off of the ground and at least a couple of feet away from any structure, to discourage squirrels and mice from setting up their home. Inspect your trees for branches which may have been damaged or broken during the winter. Trim back branches away from the house. Either hire a professional, or do it yourself, if you are able. Clean your deck. Thoroughly sweep the deck. Use an appropriate cleanser for the type of deck (wood, vinyl, or composite). Chose a day when it is cloudy, so the deck will be cool and the sun will not evaporate the cleaner. Let the deck dry before resealing. Look for low areas in your yard, especially around your foundation. Level any low areas with compacted soil to avoid having water pool in areas next to your foundation. Pooling water not only causes damage to your home, but also is a breeding ground for mosquitoes and other insects. John Hamilton, Associate Broker of Windermere Real Estate, has nearly five decades of experience working with Buyers, Sellers, and other real estate professionals, and has sold more than 1,400 Utah properties. He has the experience to provide you an edge in negotiating your real estate transaction. Most of us have clutter. The gifts that we never really wanted, but can’t bear to part with. The impulse items purchased on special occasions, or on sale that we never used. The older appliance that is stored away after being replaced with the newest model. With the warmer temperatures of spring, it’s natural to think about shedding excess; whether it is the extra weight we gained over the holidays, or the accumulation of stuff stored away in our basements, garages, or overflowing in our closets. Do you maintain a complete wardrobe in a variety of sizes, just in case you lose or gain weight? Are you holding on to household items that you no longer use, believing that one day you will pass them on to a loved one, when they will need it? Have you considered renting a storage unit or buying a larger house just to store everything? Does looking at your stuff make you feel joy or depression? Have you thought about eliminating what you aren’t using, but just don’t know what to do with it? The act of letting go of possessions can be very challenging for some. We often cling to our possessions, “just in case” we might need it again one day. Intuitively, we may recognize that the items aren’t really trash and still have value for someone. Clutter can be very costly, both in the space it takes up, and with the time we spend searching through it for what we need. Rather than thinking about the giving up aspect, it may be helpful to consider what you will gain from purging it from your home. Putting these items back into circulation can benefit you as well as your community, with many people seeking out bargains to help them to live within a tight budget. The collection, restoration and selling of second hand merchandise also create jobs. And your previously neglected possessions are freed from collecting dust, to renewing their life and purpose with someone else. You could also gain some cash if you decide to sell your possessions. This could be accomplished either selling on-line, or with a yard sale. If you happen to coordinate with friends or neighbors, you could plan a multi-family yard sale, to make it more enticing to shoppers. If you prefer not to spend the time to sell it yourself, you may want to take your items to a second hand store. Some stores will pay either in cash or trade for used items in good condition. You may prefer to get a tax credit for a charity donation. In Utah, you can drop off donations at Deseret Industries Big Brothers Big Sisters or Friends of MS Charities. If you are looking for options for having donations picked up from your house, you can check with Donation Town or Give It. If you are not concerned about being paid or getting a tax write-off, you can offer to give it away for free through Freecycle, or other on-line classifies. Wasatch Metal will pay cash by weight of ferrous and non-ferrous scrap metal, including scrap automobiles. Watch for community events, like CHaRM pop-ups for the hard-to-recycle materials that would otherwise be sent to the landfill. Check with Community Recycling to see the guidelines for your city for disposing of large or hazardous materials. For example, residents of South Salt Lake can dispose mattresses at the Salt Lake County Transfer Station for free (restrictions apply). You will feel triumphant after eliminating the things from your life that you no longer need or want, and knowing that others were able to find use from it. Once you have shed the old clutter, be careful not to replace it with new clutter. This is an excellent time to consider how you make future purchases. For special occasions, you may want to focus more on sharing experiences rather than exchanging gifts. You may decide to rent or borrow rather than purchasing items for occasional use. John Hamilton, Associate Broker of Windermere Real Estate, with nearly five decades of experience working with Buyers, Sellers, and other real estate professionals and having sold more than 1,400 Utah properties. I have the experience to provide you an edge in negotiating your real estate transaction. 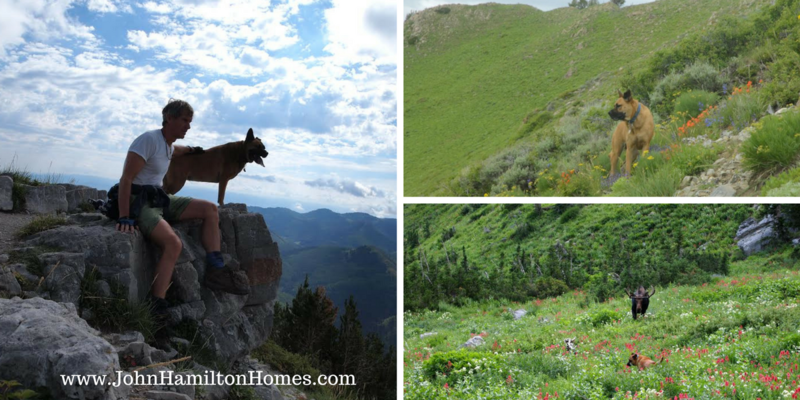 Pipeline Trail – if you’re looking for a relatively easy flat hike that is accessed in Millcreek Canyon. It is a popular hike for runners, bikers, and dog walkers and offers some nice views. Bikes are allowed on the trail every day but on the upper Millcreek trails they are only allowed on even-numbered days. Dogs can be off-leash on odd numbered days. The trail can be accessed from several trailheads – I usually start from just above and across from the Porter Fork trail. If you are ambitious enough to hike all the way (about 6 miles) to the western end there are some nice views of the Salt Lake valley. https://www.trailrunproject.com/trail/7002438/pipeline-trail-burch-hollow-millcreek-canyon. Mount Aire – this moderate hike is a little over 3½ miles out and back from the Elbow Fork trailhead in Millcreek Canyon. However, in the winter, the road is closed at the Maple Grove picnic area and the hike would be about 7 miles out and back. From the peak at 8,621 feet, you can enjoy some great views of Millcreek Canyon, as well as Parleys Canyon and the Salt Lake Valley. This would also be a great snowshoe hike in the winter that is safe from avalanches.